PT Angkasa Pura Properti – PT APP or referred to as “AngkasaPura Property” is a rapid growing property and real estate company in Indonesia. AngkasaPura Property has core business in construction (property developer and contractor), trade and services. 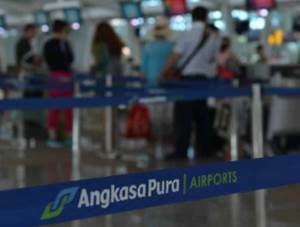 AngkasaPura Property is strategic subsidiary company of state-owned airport operator PT Angkasa Pura I (Persero) or Angkasa Pura Airports Group. Currently, the majority of AngkasaPura Property’s shares are owned by Angkasa Pura Airports Group (99.43%). PT Angkasa Pura Properti was established in 2012 to develop a non-productive land owned by Angkasa Pura Airports Group. PT Angkasa Pura Properti has its legal domicile in Jakarta and its main office is located at Center for Excellence Building, Jl Tabing No 16 Kemayoran Jakarta 10610. In term of financial performance, AngkasaPura Property has recorded a positive performance in 2014. According to PT Angkasa Pura I (Persero) Annual Report 2014 as cited by JobsCDC.com, AngkasaPura Property was able to record total operating income of Rp 17.773 billion in 2014, an increase by 397.95% from Rp 3.569 billion in 2013. Meanwhile, total assets of AngkasaPura Property grew by 29.74% to reach Rp 54.528 billion as at year-end 2014 as compared with Rp 42.028 billion at year-end 2013. Minimum S1 in Civil Engineering or equivalent. Fluent knowledge of English as foreign language, both oral and written. Strong communication skill and analytical thinking. Mature, stable, customer satisfaction oriented and pleasant personality. Preferably staff specializing in customer services or equivalent.